October 9 is listed as the release date for the latest entry in the Green Series by MMPBooks, T-34/85 Camouflage and Markings 1944-1945 by Przemyslaw Skulski. This book is listed as 120 pages softcover 8.3 by 11.7 inches. T-34 served in huge numbers with the Soviet Army and its allies, and was also used by their enemies! This book describes the colors and markings applied to the T-34-85 in service with all major users, including unit and tactical markings, individual names and insignia, and air recognition features. Profusely illustrated with photos and color profiles, this is essential reading for armor enthusiasts and modelers. This video from the RTR is essentially a recruitment commercial, but it has some nice footage of British Challenger II tanks driving around the countryside and some fun commentary from the crew. Take it for what it’s worth. 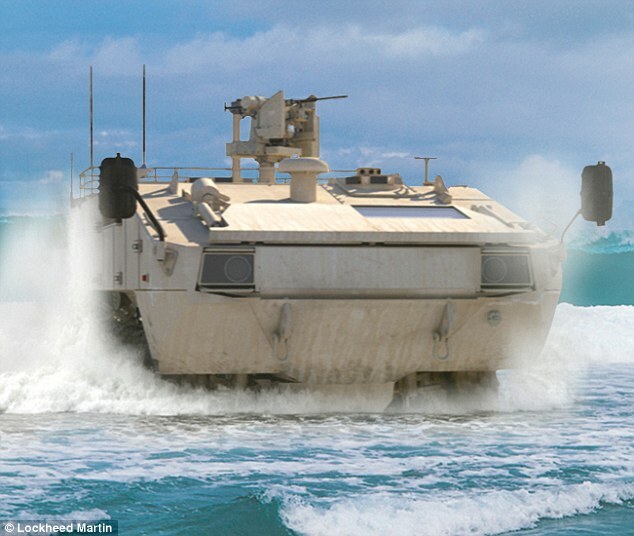 At the recent Modern Day Marine trade show in Quantico Virginia, Lockheed Martin revealed their entry for the Amphibious Combat Vehicle (AVC) competition. The ACV program seeks to find a replacement for the Marines aging AAV vehicles which date back to the 1970’s. 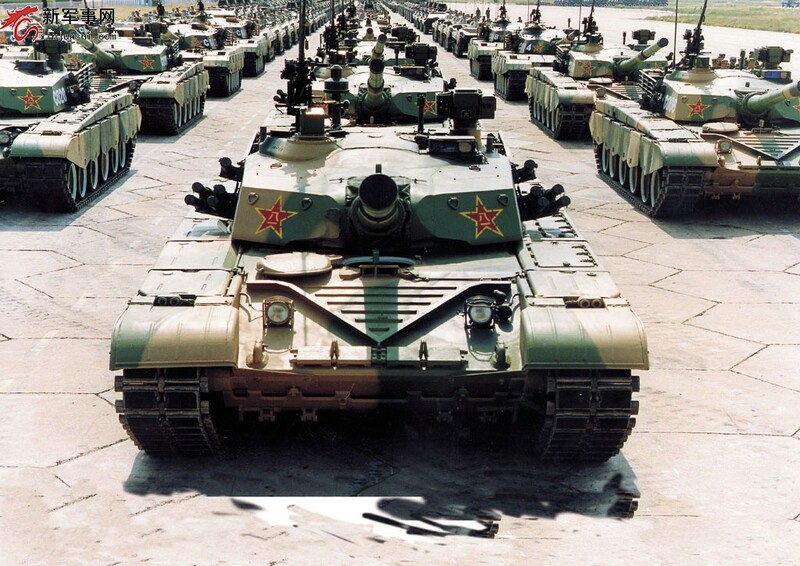 The ACV program follows the unsuccessful Expeditionary Fighting Vehicle program which was cancelled in 2011 amid cost and performance concerns. The Lockheed Martin entry joins four other competitors, BAE Systems, General Dynamics, SAIC and Advanced Defense Vehicle Systems. Unlike the tracked Expeditionary Vehicle, the ACV prototypes are all wheeled 8×8 vehicles. According to an article from Defense News, the Marine Corps will narrow the field to two competitors by November and an ultimate winner will be selected in 2018. Lockheed Martin’s entry into the ACV competition signifies a move into parts of the defense sector it has previously not been active in. While General Dynamics and BAE are the two traditional suppliers of armored ground vehicle, Lockheed Martin is traditionally an aerospace company. However, Lockheed Martin has been making moves to expand it’s portfolio, including its recent failed bid to win the Joint Light Tactical Vehicle program. Lockheed Martin – Based on the photos so far made available, this vehicle appears to be based on the Finnish Patria 8×8. BAE – This entry is a variant of the Superav 8×8 developed by Italian firm Iveco. General Dynamics – The GD entry is based on the Piranha 8×8 originally developed by the Swiss firm MOWAG. This is also the basis of the General Dynamics built Stryker APC used by the US Army. SAIC – This entry is based on the Terrex Infantry Carrier Vehicle developed by Singapore Technologies Engineering and Timoney Technology. Advanced Defense Vehicle Systems (ADVS) – This is the only vehicle not on display at the Modern Day Marine show. It is assumed that the ADVS entry is a version of their 8x8x8 vehicle. Here are a couple more video clips from the DSEI show featuring Christopher Foss from Jane’s 360. In these two clips, he showcases the Turkish Otokar Arma family of wheeled armored vehicles and the Patria Armored Modular Vehicle.